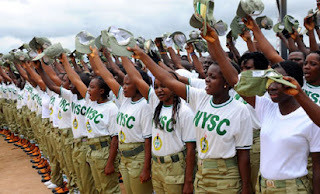 The National Youth Service Corp NYSC has partnered with the central bank of Nigeria CBN and other commercial banks to provide soft loans for Corp members across the country. the sokoto state cordinator of the scheme, Alhaji Musa Abubakar at the permanent orientation camp wammako, headquarters of wammako local government area, sokoto state. He said other collaborating banks are the bank of agriculture, heritage bank and the bank of industry. According to him, with the loans, Corp members would be transformed into self employed citizens while others will be employers of labour. Each of the beneficiaries will get between #3m to #10m to enable them set up their small scale businesses.